A Toronto condo is looking to add a “monthly dog fee” for pet owners. In a social media post shared by the Toronto Dog Walkers Association, a letter issued by the property manager was shown with the reasons behind the new charge. “Unfortunately some dog owners are not taking responsibility for their dogs, and are allowing them to defecate and urinate on the common elements, and bring in extra debris without cleaning up after them,” reads a letter, given to residents at Quad Lofts near King Street West and Spadina Avenue. The management then states that effective May 2, residents with a dog will be levied a fee of $15 per month. The condo owners will have 30 days to requisition a meeting to contest the new fee. “In addition to existing restrictions on residents’ pets & limiting the number of dogs a dogwalker can bring inside, some buildings in Toronto are now charging owners a monthly fee for having a dog,” wrote the Toronto Dog Walkers Association, also calling the move “a very unpopular” one. Responsez to the Association’s post have been unfavourable to the proposed fee. “It is not a fee for having a dog but a fee for those irresponsible idiots that cannot clean up after their pet,” wrote a Facebook user. Another compared the fee to charging parents for children. 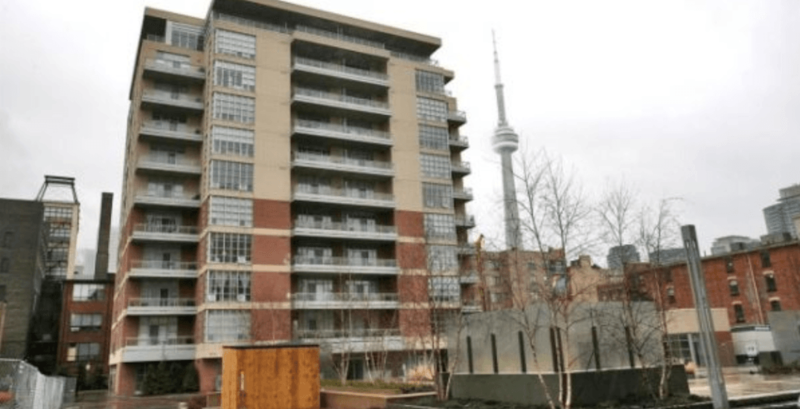 While this is just one condo, it will be interesting to see if any other Toronto buildings follow suit. Yasmin is the Toronto City Editor at Daily Hive. She enjoys coffee, brunch, and travel. When she's not at the office, she's generally travelling, brunching, and drinking coffee. Her office plant needs a name, so feel free to send suggestions.